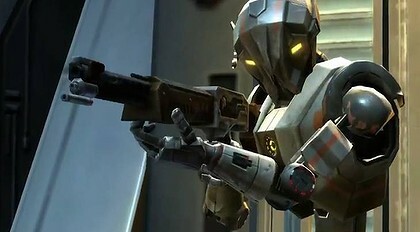 Home > General, SWTOR, Updates and Expansions	> When Is The Patch Again? When Is The Patch Again? Patch 1.5 has been on the Public Test Server for quite some time now. A recent post from Joveth Gonzales confirmed that we will not see it hit the live servers this week. Correct. Stay tuned for info on when Game Update 1.5 is coming out. You shouldn’t have to wait too long. Now the question remains, when will it hit? Today is the six-week mark from the last content update. It isn’t really because I am especially looking forward to this particular patch (though HK-51 is awesome), it is really more of an interest in when Patch 1.6 will come out with Ancient Hypergates. As I have expressed before on Tactical Strike, I have been chomping at the bit to get into Ancient Hypergates. So the faster 1.5 gets here, the faster 1.6 gets here, and the faster I am happy!